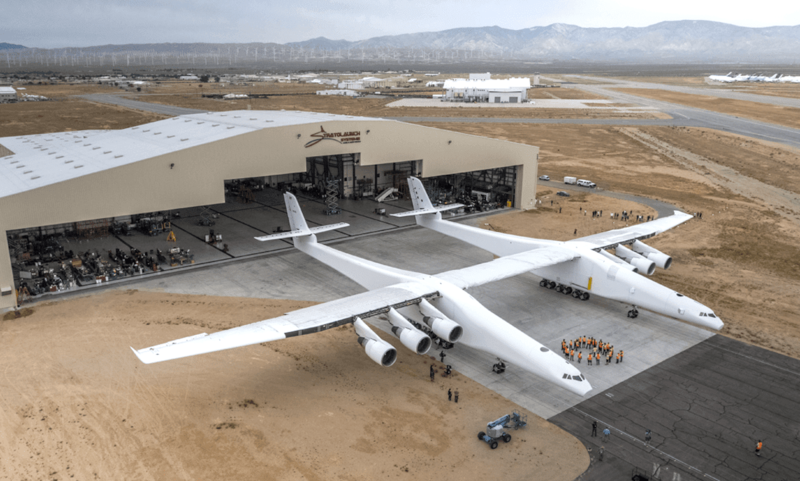 Currently undergoing initial ground tests in California is the Stratolaunch, believed to be the world's largest aircraft. 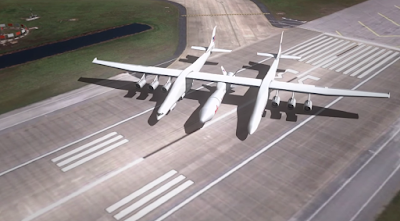 Developed by Microsoft co-founder Paul Allen, the huge twin-fuselage plane boasts a wingspan of 385 feet. However, you won't be taking a flight in it any time soon. The Stratolaunch has been design not to carry people but rockets, suspended under that central section of the wing. The craft will then be flown exceptionally high - into the Stratosphere, we assume - where the rocket can be launched into space, cutting the amount of rocket fuel needed to get it up there. Allen said in a statement that this new plane will offer companies “a consistent, flexible, and viable alternative to traditional ground-launched rockets.” Also, as the Stratolaunch can fly to anywhere in the world to pick up the cargo then fly into space, it could mean that launch delays because of bad weather are a thing of the past.